Claudio Lai was born in Rome, Italy and migrated to Sydney, Australia at a young age. He graduated in 1988 from Newington College in Sydney. In 1989, Claudio worked in the News Department for the Australian Broadcasting Corporation (ABC-Channel 2) as well as on various independent documentary projects. In 1991 Claudio moved to the U.S. and attended the University of Southern California’s Film School. Over the next few years, Claudio produced and directed numerous documentary projects for (PBS.) In 1999 Claudio directed a Television Series for PBS starring Jane Seymour called “Healthy Living.” In the next few years, Claudio was president and CEO of Vertutech, Inc. a technology development company which specialized in creating automated content management systems (CMS) for websites. 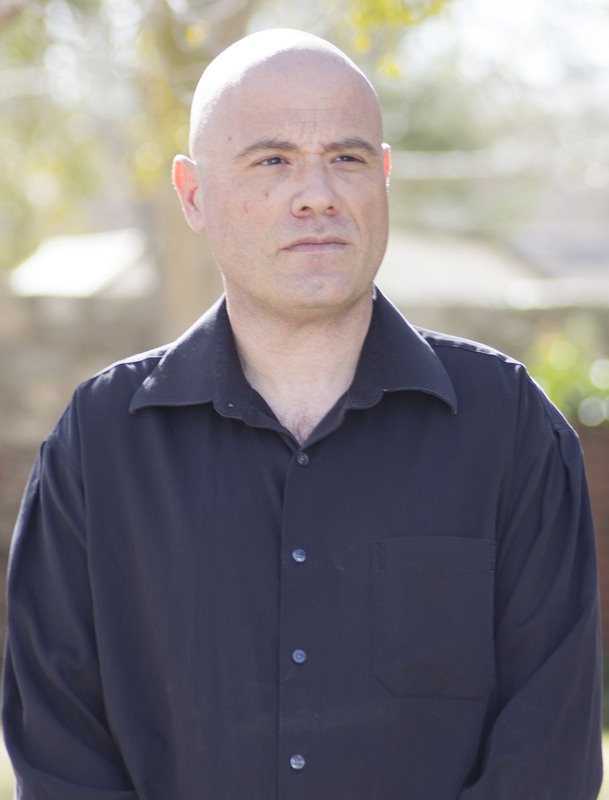 In 2007 Claudio started a new company called FluidCast Technologies devoted to the development of a next generation cloud-based content monetization platform and currently is the CEO and president of FluidCast Technologies, LLC, the exclusive licensee of the FluidCast platform technology. In 2016 Claudio formed a multiple new branches of FluidCast Technologies focusing on Virtual Reality and Augmented Reality technologies. FluidCast VR is a new virtual reality production and software development company providing camera rentals, VR/AR post-production facilities and white label VR/AR software licensing. Implied Motion is a VR/AR production company providing content for licensing. FluidCast AR/VR studios is a new studio in El Paso, Texas providing state-of-the-art VR/AR studio facilities. Some of Claudio’s most recent clients include NASA (The Singularity University) and a Hong Kong based Virtual and Augmented reality educational company. Claudio is currently working on educational VR/AR projects which allow viewers to be scored inside VR/AR lesson plans – based on where they look at points of interest in a 360 videos. Recently, Claudio has produced numerous videos for Borderplex in El Paso, Texas. He has created a groundbreaking film in virtual reality called “The Wall VR” which was shown on PBS. This film has been shown and won multiple awards around the world including: Canada, United States, Spain, United Kingdom and the Netherlands. Bob comes from a successful corporate career in a variety of management roles and environments. As a member of corporate teams, Bob has done training system evaluations, conducted sales account executive certification, and re-drawn organizational lines. He possesses management experience in administration, sales/marketing, technology, financial analysis, and customer service. He has contributed to the development of a management textbook, and has written for a national industry publication on the subject of the business planning process. For thirteen years Bob was owner and principal consultant in Peterson Consulting, a management consulting firm in El Paso. As a consultant, he helped businesses to flourish by focusing on management skills, strategic planning, and business advisory services for managers and executives. His clients included companies ranging in size from one to several hundred employees. In 2007 he became President & CEO of One Source Federal Credit Union in El Paso and Las Cruces, NM following three decades as a volunteer there. Bob “semi-retired” on April 30, 2017, and he continues his contributions through continuing volunteerism and other consulting engagements. Among his additional activities, Bob is an alumnus of Leadership El Paso Class IX, and has served in numerous volunteer leadership positions at the local, state, national and international levels, including directorships of the Cornerstone Credit Union League, the Cornerstone Credit Union Foundation, Credit Union Resources, a local Municipal Utilities District, and El Paso’s International Museum of Art. He serves as an officer for Hospice of El Paso and is a Director for the El Paso BBB. Bob also serves as a business mentor to several start-up business ventures through the HUB of Human Innovation, an El Paso business incubator. He has been a Charter Member of El Paso’s EMS Commission and the West El Paso Regional Police/Citizens Advisory Board. Bob is Past President of the Rotary Club of West El Paso and serves Rotary in a number of additional capacities. He was Tournament Director for seven years for the El Paso Golf Classic, a women’s professional golf event conducted by his Rotary club, and was the creator and host of a long-running weekly business talk show on local cable television. He has also hosted two television shows on the local PBS affiliate. Bob is committed to the business community as a volunteer, leader, and business partner. Executive Director of Technology StratosMedia – Jason has been worked in the development of internet technology for the last 22 years. 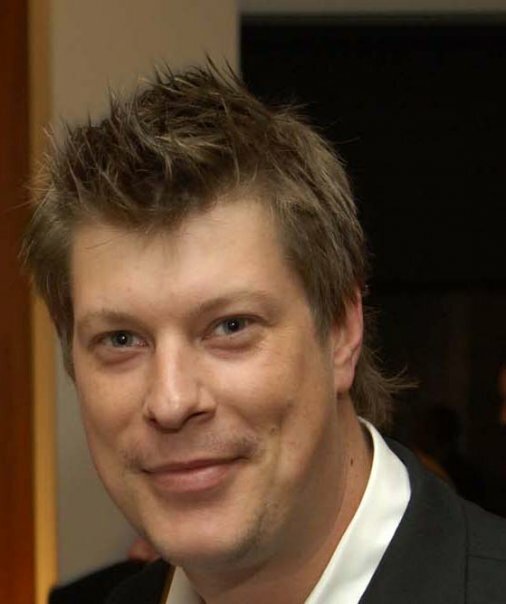 He started his career building ISP’s in Australia, and then moved into the then fledgling internet software development where he worked on developing technology for managing the backend systems of ISP’s With an in depth knowledge of networking and software development, Jason worked at Australia’s largest digital agency, as a senior solution architect for 10 years. His exposure to large scale rollouts and infrastructure design – as well as the constant change to technology has given him the ability to provide a unique insight into the next progression of the internet. His last project before joining Stratosmedia was the development of a grid based computing platform that was a digital marketing service, providing large scalable solution to processing millions of requests a minute and effect marketing life cycle decisions in real time. Jason has worked on projects for companies like Qantas, Telstra, News Corp, Australia Post, The Australian government just to name a few. His current role at Stratosmedia is Executive Director of technology. StratosMedia is a global software as a service provider for Connected digital out of home experiences. Specializing in Digital Media, Out of home media, and wifi services. He leads StratosMedia’s technical partnerships, research and co development teams with Google, Microsoft, Huawei and NEC. StratosMedia’s research is based in the areas of Wifi, 3-5g wireless, Machine learning and 4-8k video delivery platforms. Jason’s Specific Research Area’s include; Machine Learning, Computer Vision, Video Compression, Radio Frequency Analytics/engineering Current Research Project. Signal Processing to detect humans and gestures using passive reception of 4g mobile frequencies. Eric Bowers is a career-long creative technologist specializing in motion graphics programming and design. He is a founding partner of By and Large, an award winning creative agency based in Red Bank, NJ. Prior to that he was the director of creative technology at Havas Worldwide where he entrenched himself with creative teams, creating everything from interactive social games to rapid web-app prototypes to 3-D motion graphics. He has created acclaimed work for brands such as Johnnie Walker, Volvo, Dos Equis, Charles Schwab, IBM, Hershey’s, New York Life, Merck, Exxon, Evian, Jaguar and Heineken. Gavin is the owner and Executive Producer at Section9 Productions, a full service advertising Production Company based in Los Angeles that specializes in extensive location & studio print campaigns including CGI & motion content. The company has over 20 years combined experience in print, film & television to bring a unique focused approach to each production. Section9 productions is a full service advertising production company based in Los Angeles specializing in extensive Location & Studio print campaigns including CGI + motion content. Combining over 20 years of experience in Print / Film & Television to bring a unique focused approach to each production. Creative consulting / Branding / Estimating / Budget management / Pre production / Permitting / Production Insurance / Travel planning – international & domestic / Customs & carnet / Location scouting / Location & Studio coordination / Crew recommendation & booking / Casting / Pro drivers / Motion Rig / Art Dpt – Set design / Set Security / Equipment rental / Production vehicles / Shoot logistics / Post production / Project wrap / Final billing / Invoicing. Producing multiple high security automotive projects for national & international clients. + American Airlines, American Express, Army National Guard, Audi, Best Buy, Bioness, BMW, Cadillac, Cazadorez, Custom Chrome, Dodge, Electra bikes, FIFA, Ford, GE, Helmut Newton, Honda, Hyundai, Hummer, Infiniti, International trucks, Kia, Lexus, Lincoln, Mercedes, Midway games, Nissan, Mobil 1, Northwest Mutual, Nurture, Philips Global, Polaris, Tesla Motors, Toyota, Saturn, Steelcase, Subaru, Tylenol, US Army, Vogue, VW, WOOX innovations.